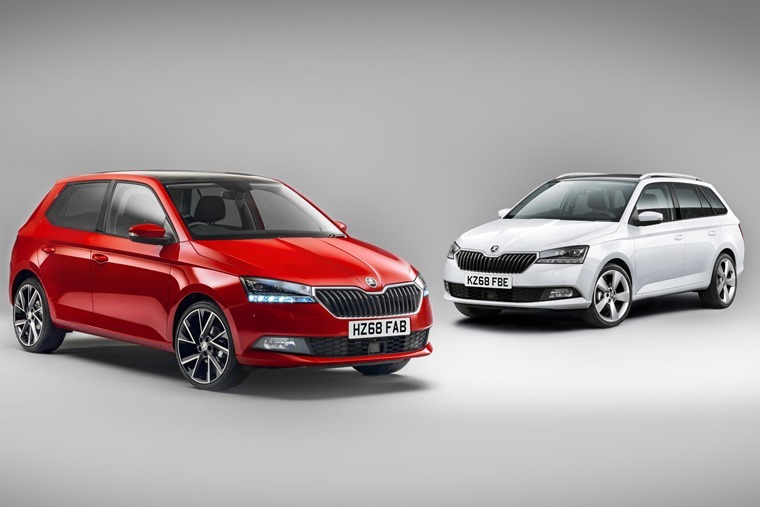 With their new Karoq and Kodiaq SUV-offerings a resounding success, Skoda has returned to the car that helped it turn a corner by giving the Fabia a facelift. With a new all-petrol engine range, boosted equipment levels, new safety systems and an even sharper look, the facelifted Fabia is set to raise sector standards once again. Ranked second in the brand’s list of best-selling models, with the outgoing third generation accumulating sales in excess of the 500,000, the front and rear design updates to the Fabia produce a remarkably high-class appearance. The range will feature five familiar trim levels; S, SE, SE L, Monte Carlo and Colour Edition and will be available in hatch and estate forms, with prices ranging from £12,840 OTR for the entry-level 1.0 MPI S hatch model to £18,750 for the 1.0 TSI 110 DSG SE L estate. Customers stepping up to the SE model (from £14,115 OTR) can choose from all drivetrain options and gain front fog lights and 15-inch alloy wheels over the outgoing model, along with Radio Swing Plus infotainment. Colour Edition models, priced from £14,665, gain 16-inch alloy wheels in white, silver or black. Customers opting for the SE L benefit from an even more significant equipment boost over the previous model. 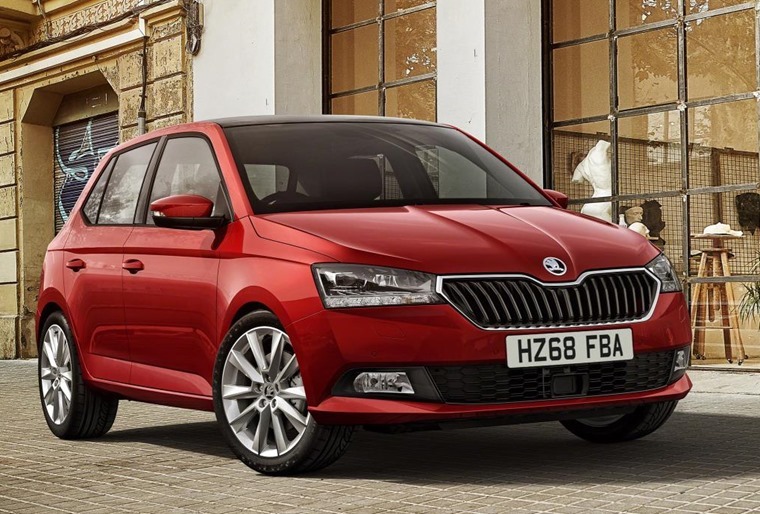 Priced from £15,205 OTR, Fabia SE L models now feature Amundsen satellite navigation, Infotainment Online (for one year), lighting in the front centre console and 16-inch alloy wheels. These items are in addition to the outgoing Fabia SE L’s already comprehensive specification list. Priced from £16,785, the ever-popular Fabia Monte Carlo further enhances its reputation for sportiness with a range of new features. These include climate control, LED rear lights, and new seat upholstery. The styling package includes a black front spoiler, black roof and carbon-effect dashboard trim. The line-up of engines for the Skoda Fabia will consist of four petrol drivetrains, each with three cylinders and a capacity of 1.0 litre, whose performance is as eager as it is efficient. The MPI engines feature indirect injection and produce outputs of 60 hp and 75 hp respectively while the two TSI drivetrains are both packed with advanced engineering, including turbocharging and direct petrol injection, enabling them to generate 95 hp and 110 hp. The most powerful of the quartet of engines can be matched with a seven-speed DSG gearbox as an option. 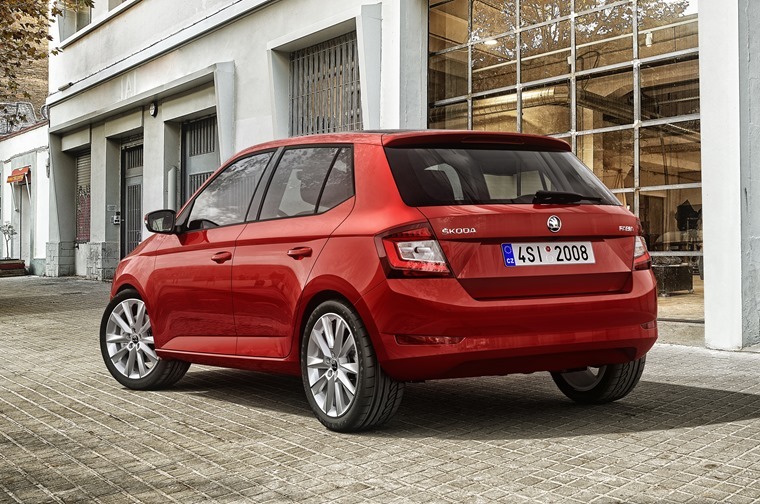 By concentrating on sophisticated petrol engines across the Fabia range, Skoda state they are paying careful consideration to the requirements of the target groups in the small car segment, with the state-of-the-art three-cylinder units on par with diesel engines for fuel efficiency. The redesigned instrument cluster, new trim strips for the dashboard and two-tone finishes for the seats help to give the interior a more noble feel too. The infotainment system ‘Swing’ now offers a 6.5-inch display and also allows drivers to use the full range of mobile online services from Skoda Connect, and innovative SmartLink+ technology makes it possible to enjoy all the benefits of the Apple CarPlay, Android Auto, MirrorLink and SmartGate standards. A variety of driver assistance features will be available too including Blind Spot Detection, Rear Traffic Alert, and Light Assist which automatically switches to low beam as soon as the system detects oncoming traffic or vehicles ahead. Order books are open now with first deliveries in September.